Make your user feel empowered. Give them the feeling of freedom. Give them the opportunity to make decisions that are meaningful. Everyone wants to feel smart and better—feel that their decisions have meaning. Add boosters—elements that will make your user stronger. 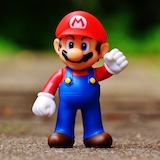 An example of a booster is the mushroom in Super Mario. In non-game products, a booster can be a multiplayer of points. When your users get a booster, they feel empowered. Add milestone unlocks to your product. Achieving a milestone will unlock something that will empower you. For example, defeating a monster will give you a new, stronger weapon. Give your users different options to choose. This is one of the most powerful gamification strategies. Users don’t have to have freedom in your product. The feeling of freedom is important. Letting the users decide what they want is the best way to give them the feeling of freedom. Let users make meaningful choices. The game should not be linear. It should give users the opportunity to make meaningful decisions. For example, tic-tac-toe is very linear after a few games. Chess is not. The user should feel that their choices are smart choices.